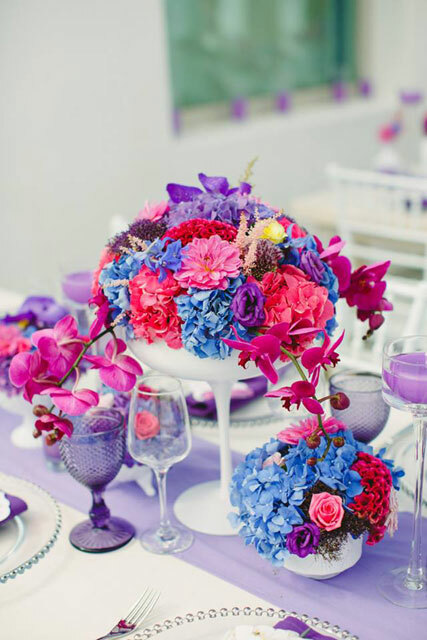 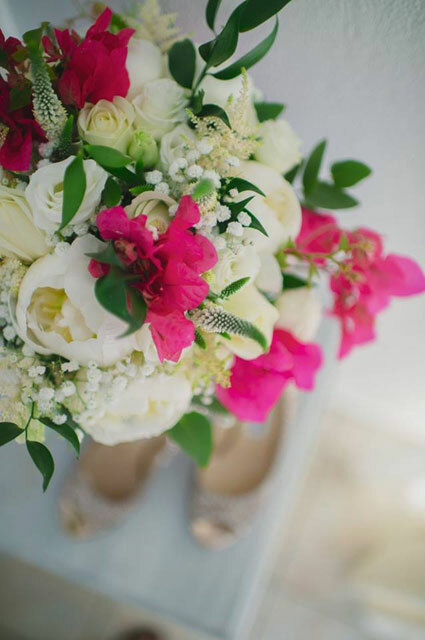 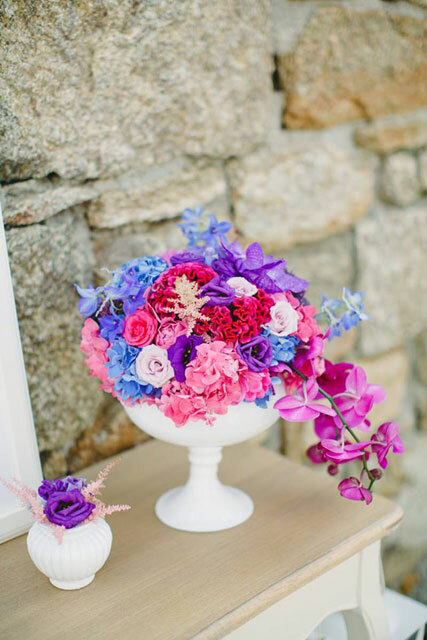 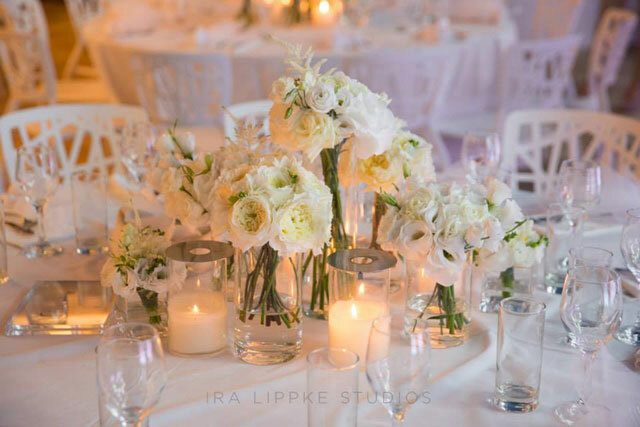 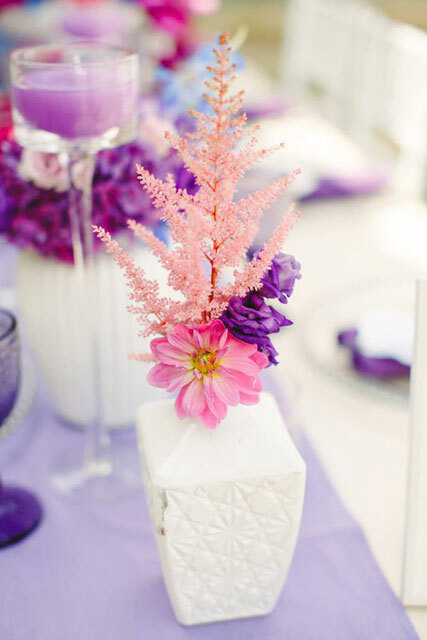 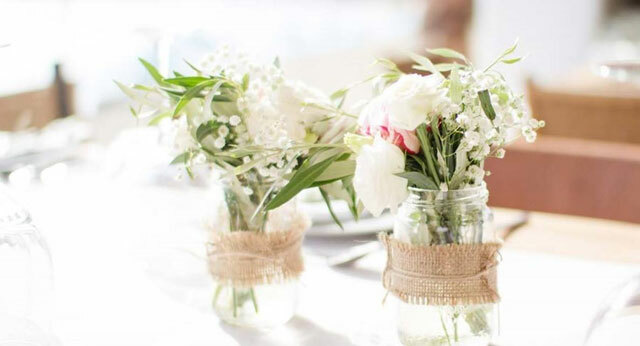 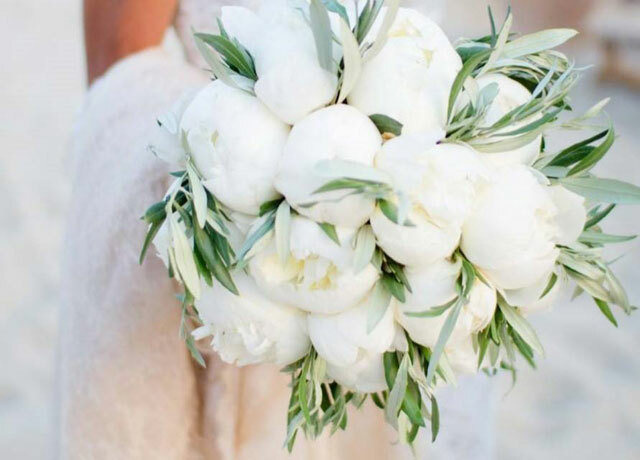 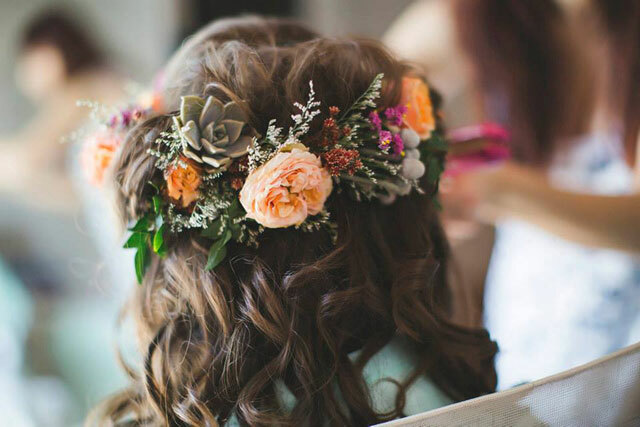 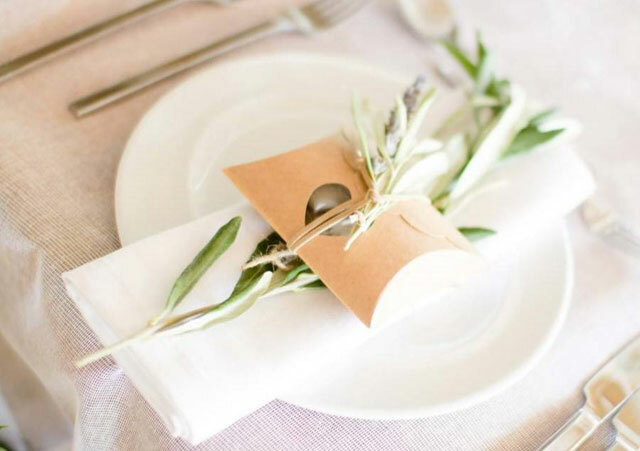 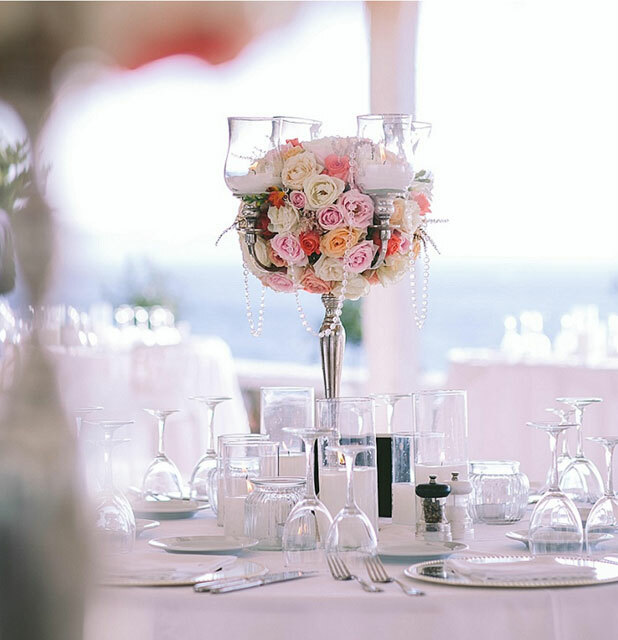 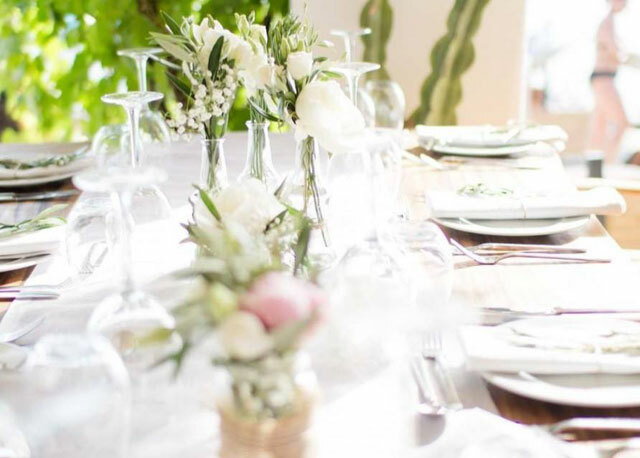 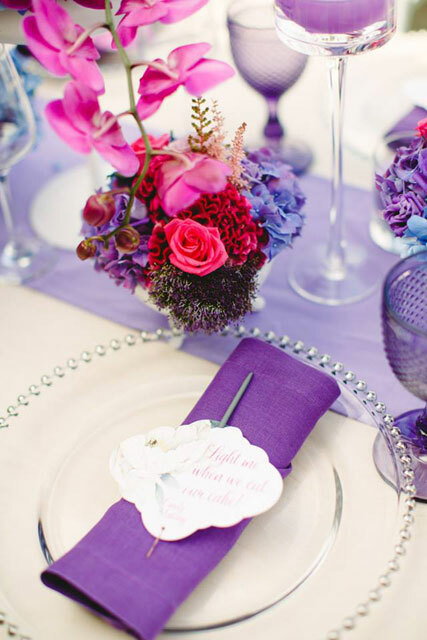 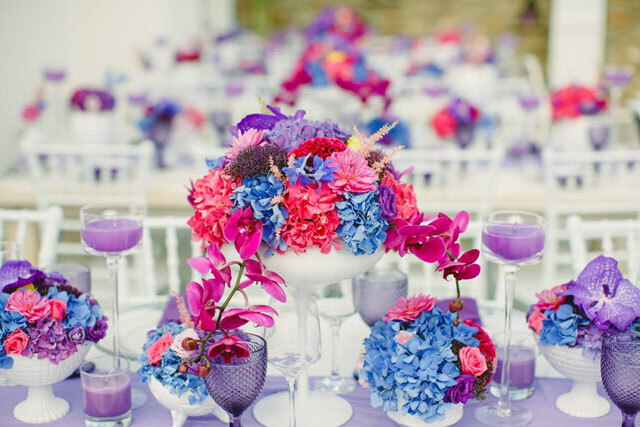 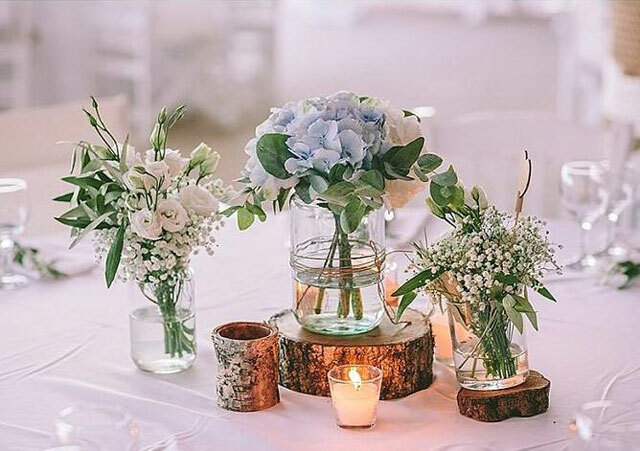 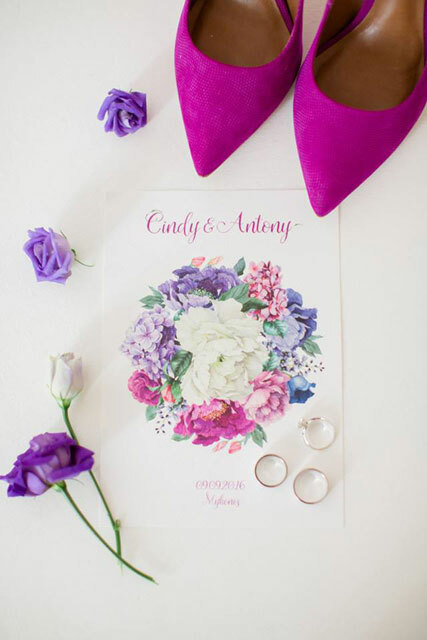 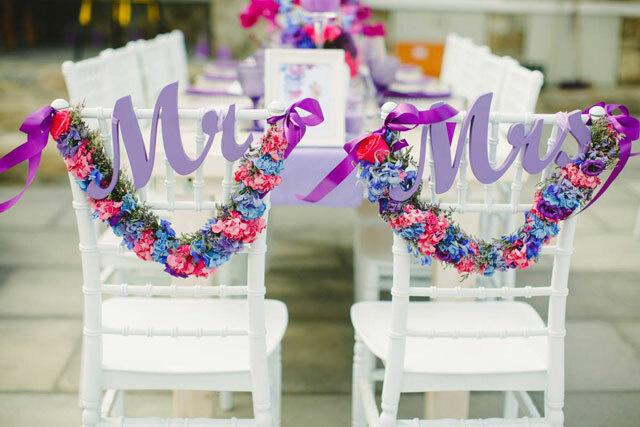 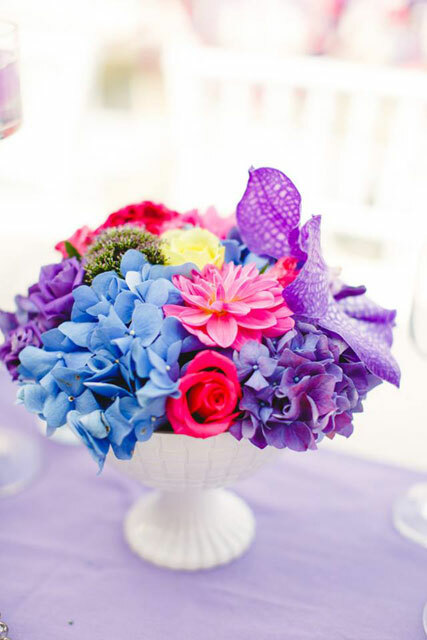 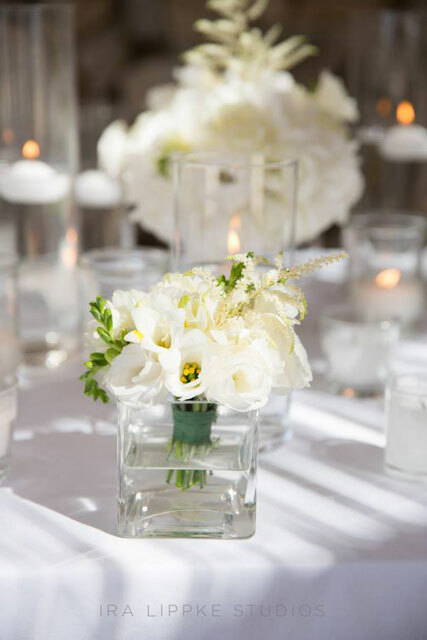 Your wedding flowers will be one of the most photographed details of your wedding, so it's important to pick wedding centerpieces and bouquets that truly fit your wedding style. 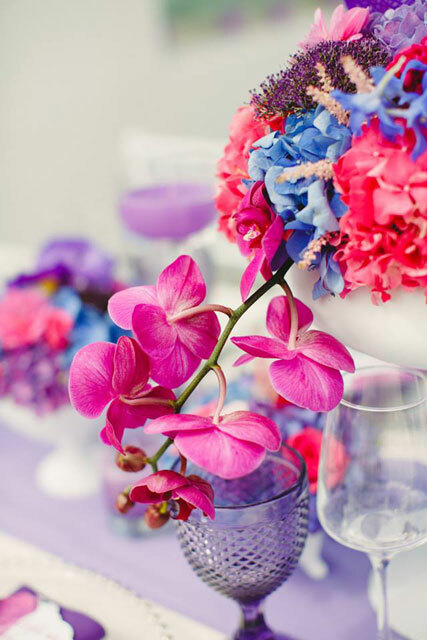 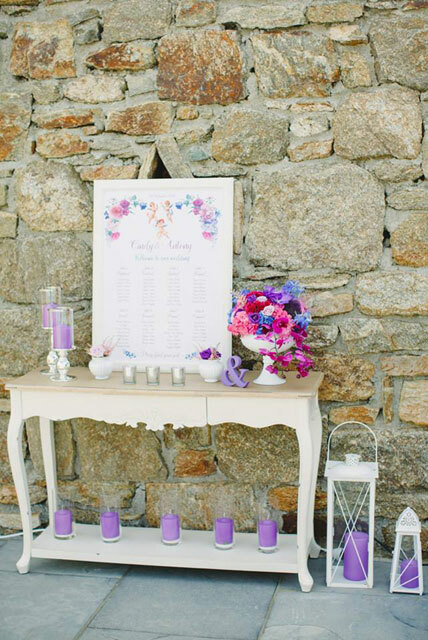 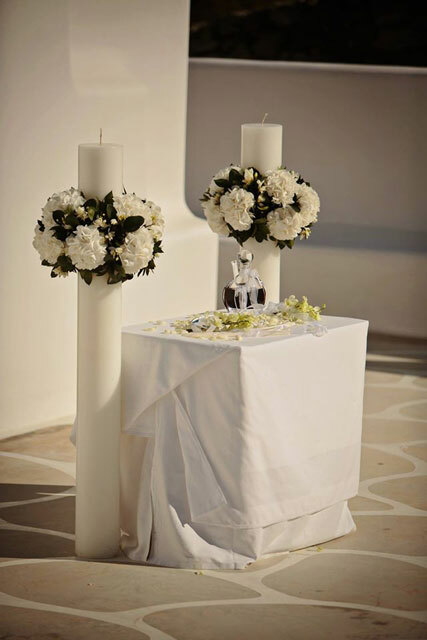 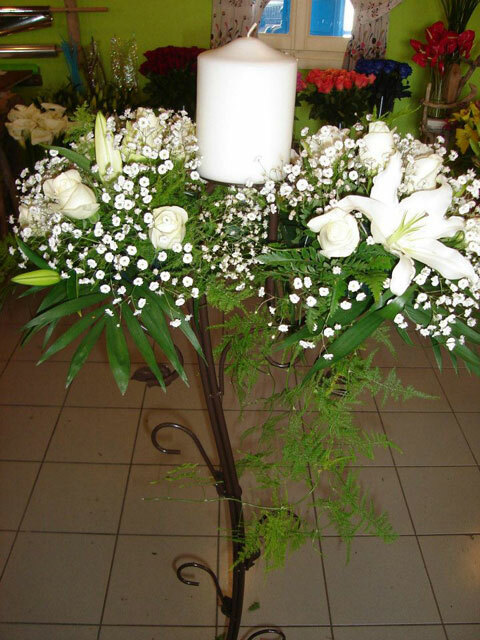 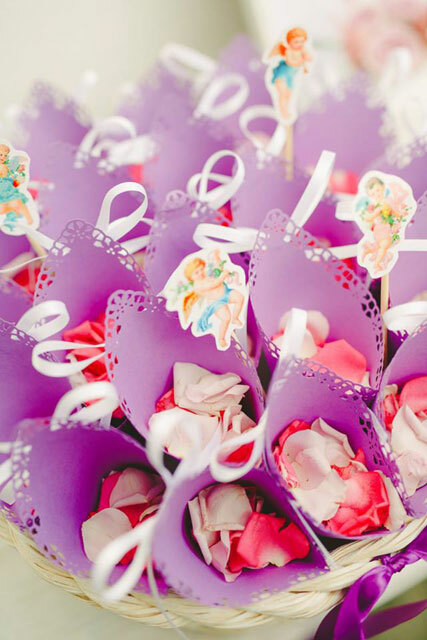 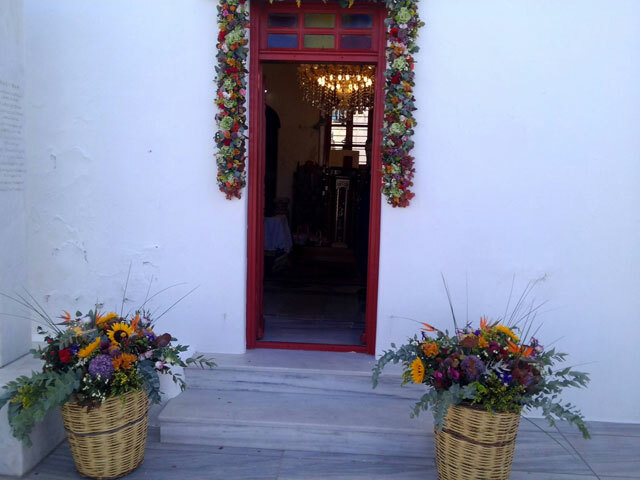 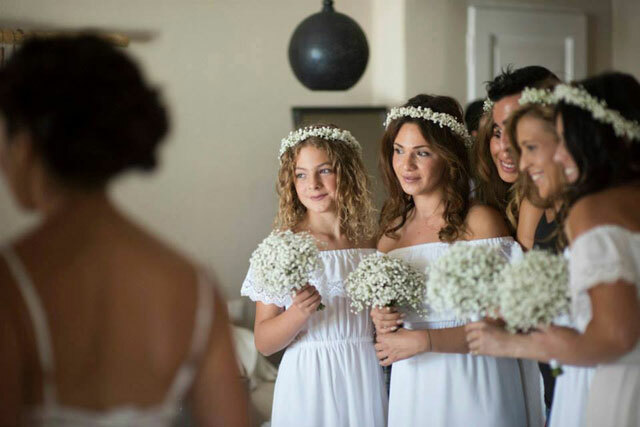 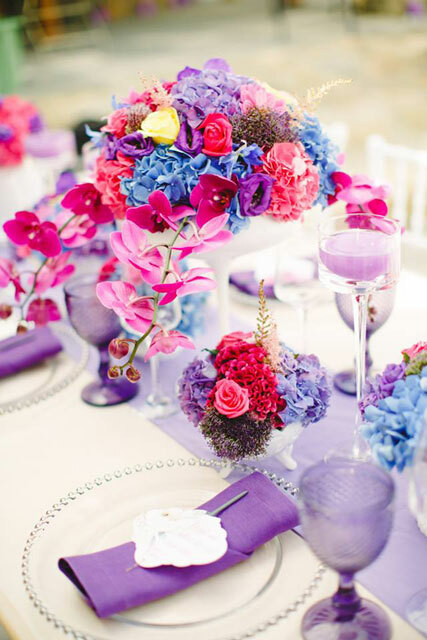 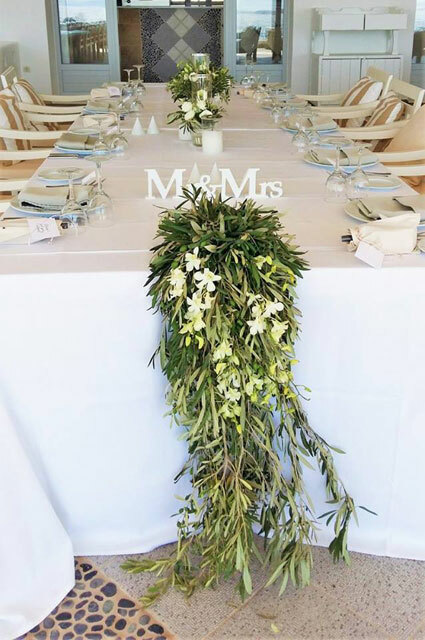 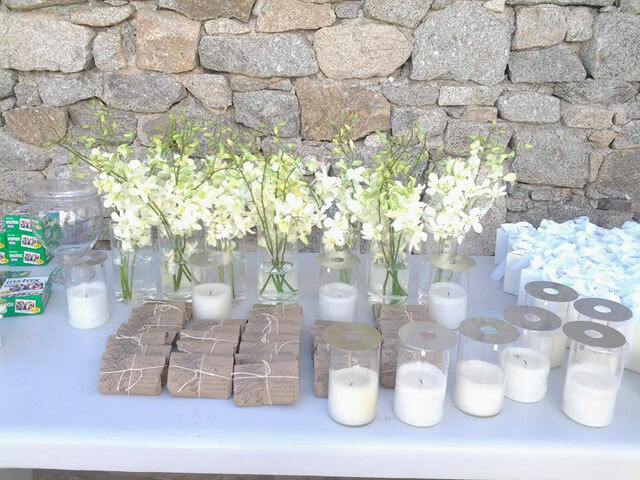 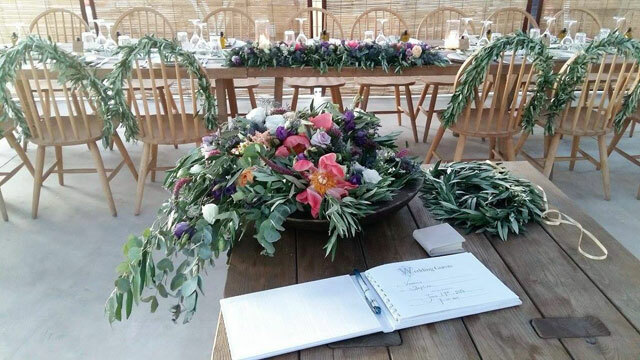 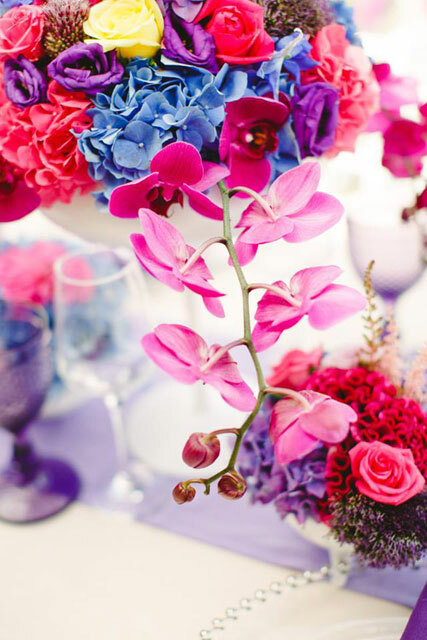 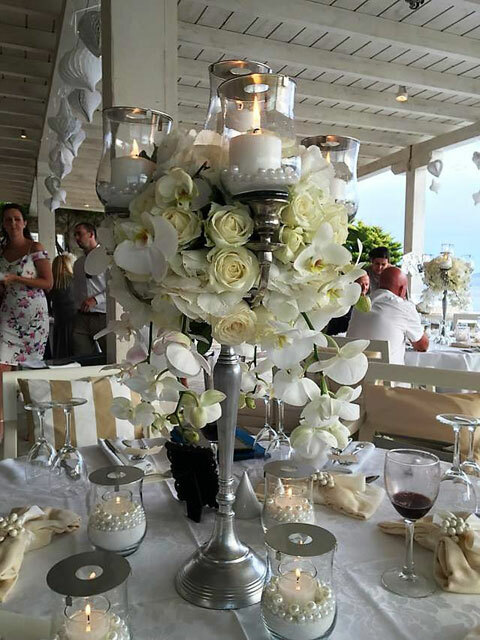 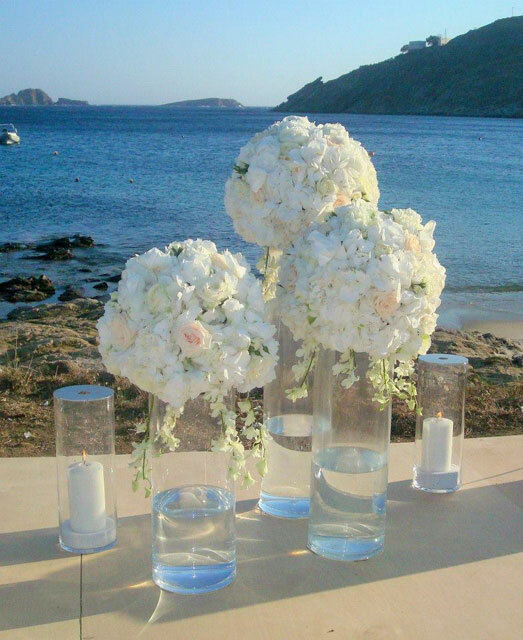 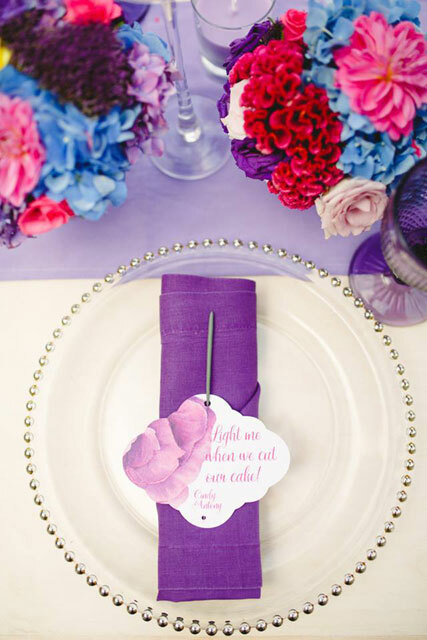 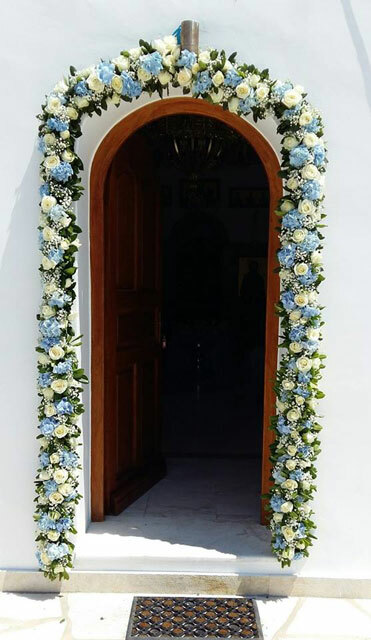 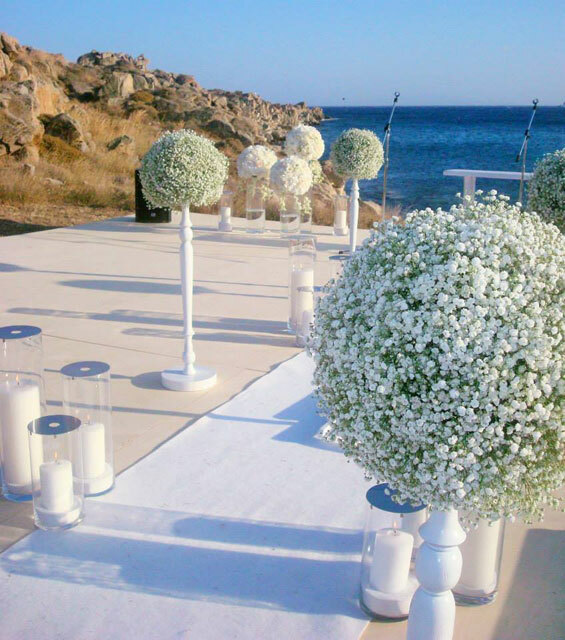 Cycladitiko Aroma offers ideas of wedding flower arrangements & organizes all the details for your wedding day. 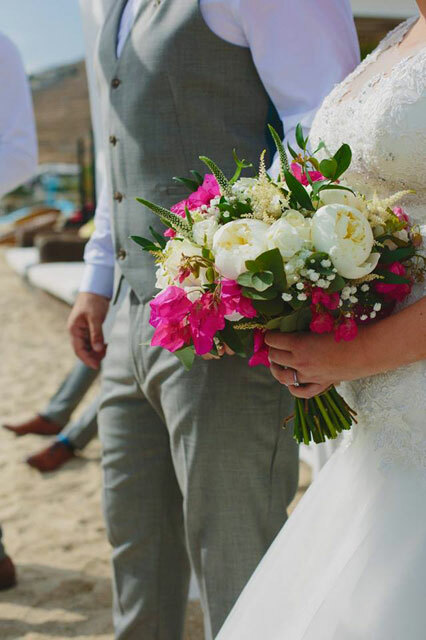 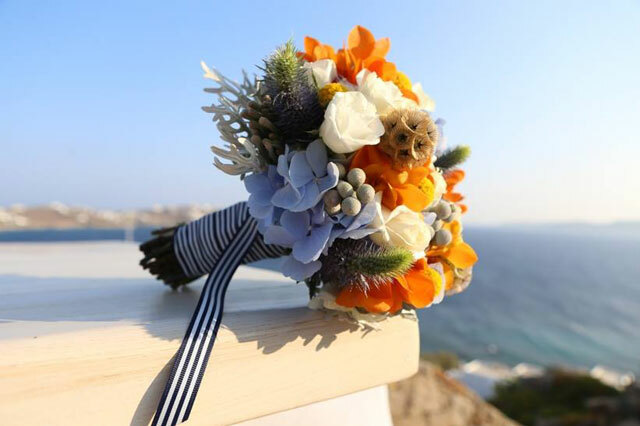 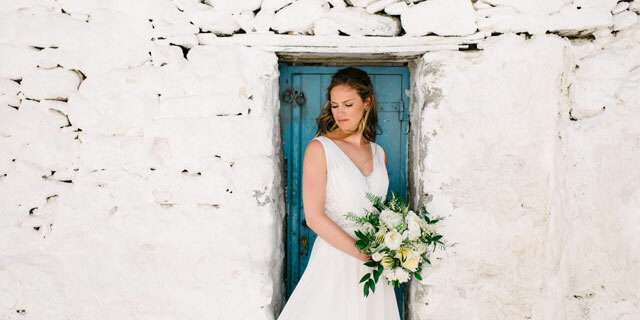 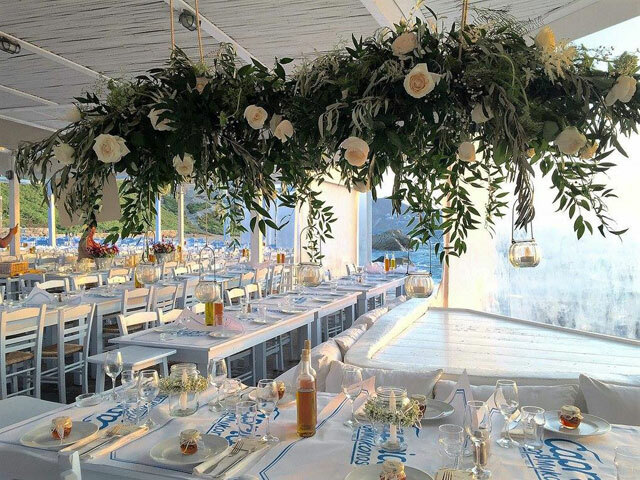 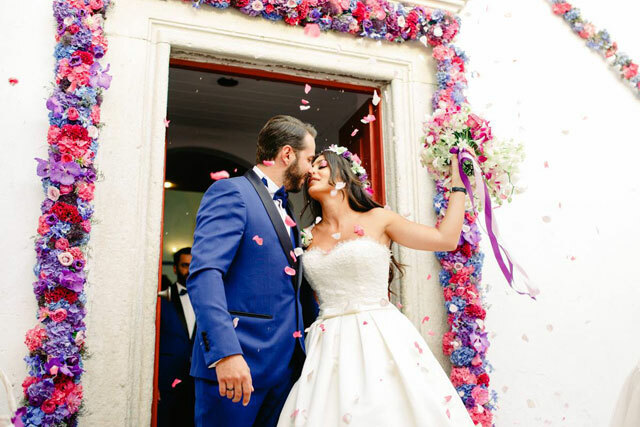 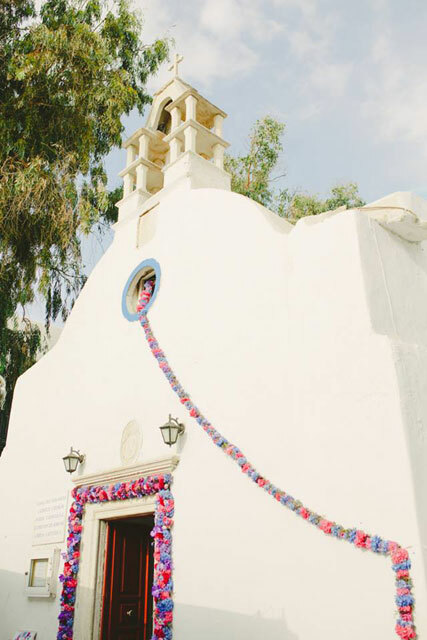 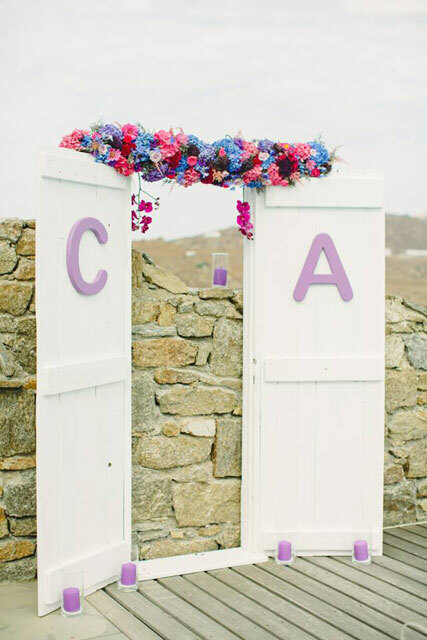 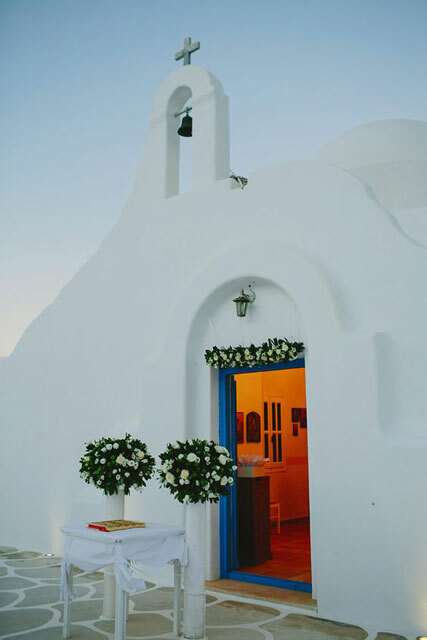 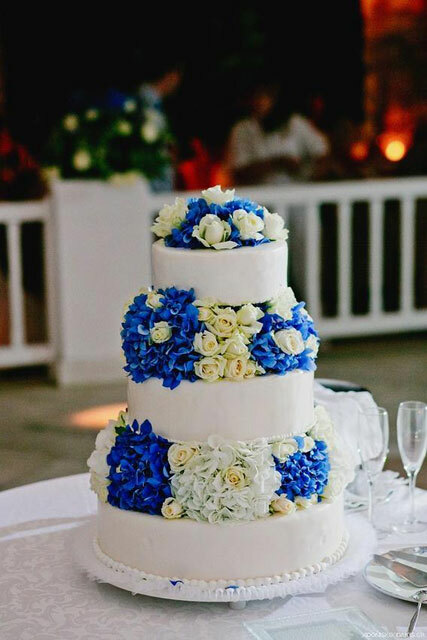 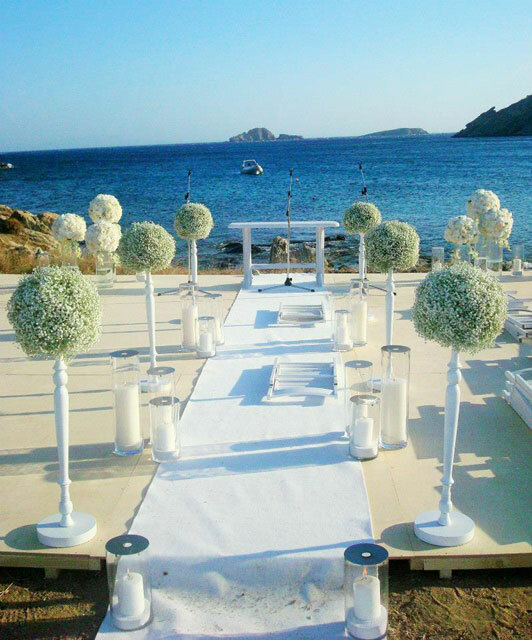 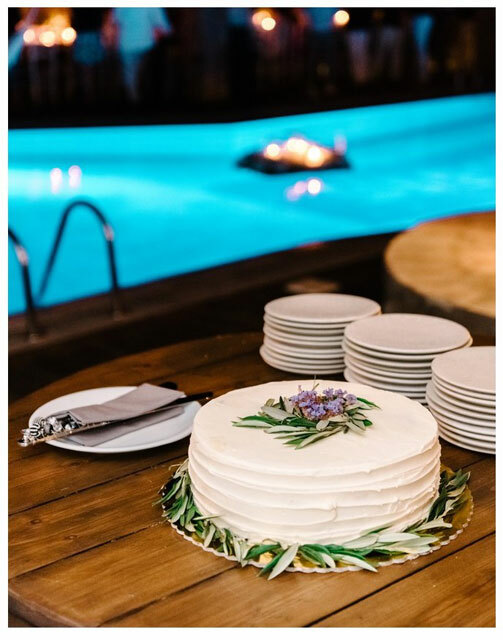 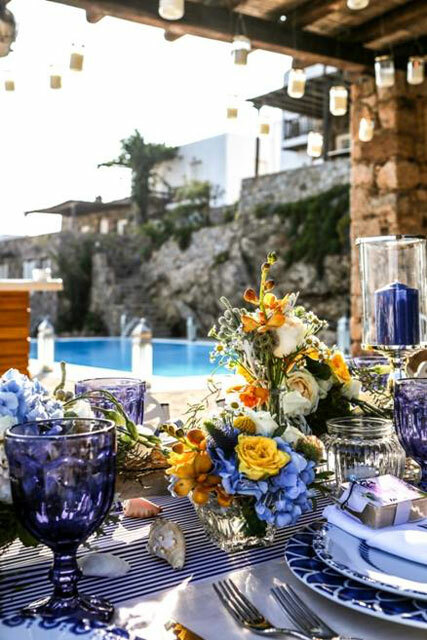 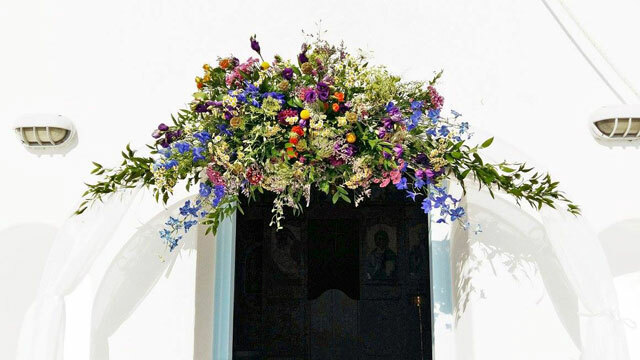 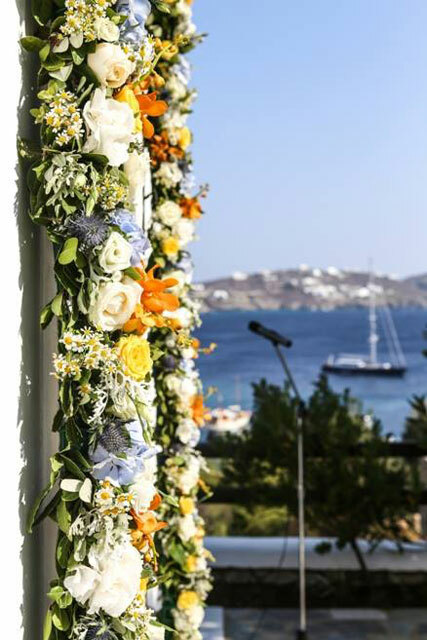 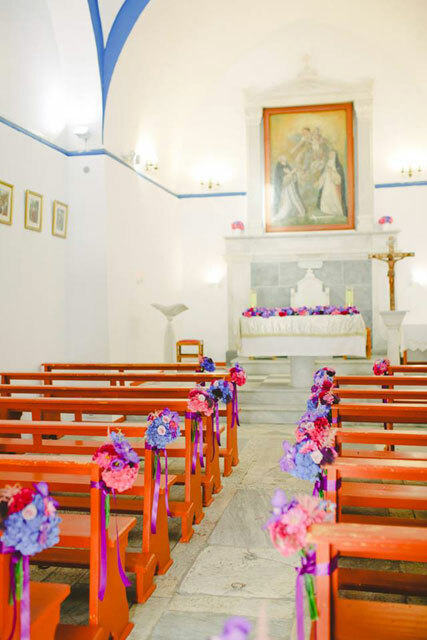 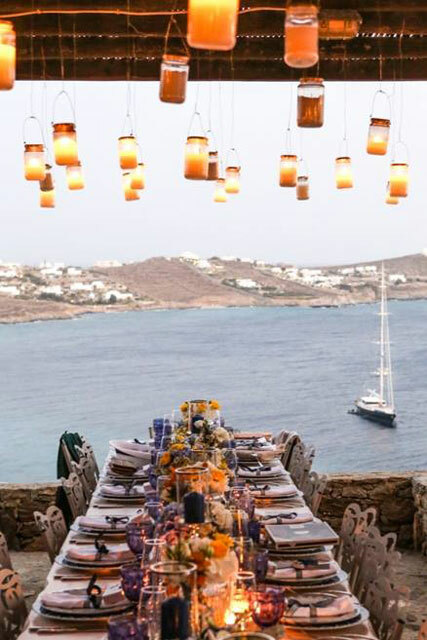 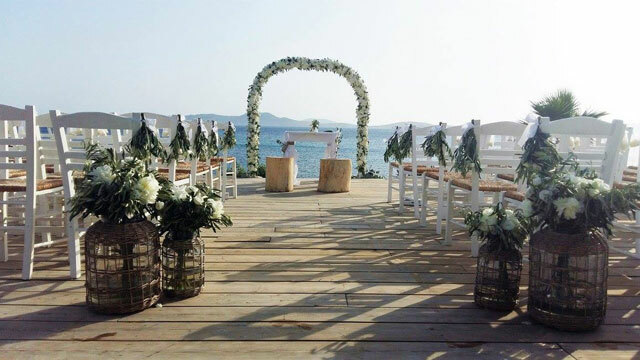 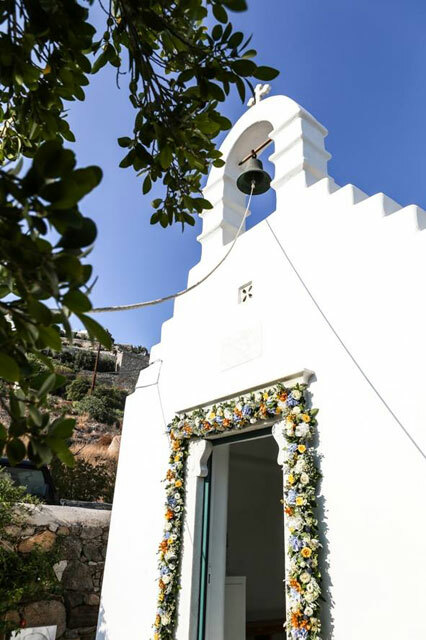 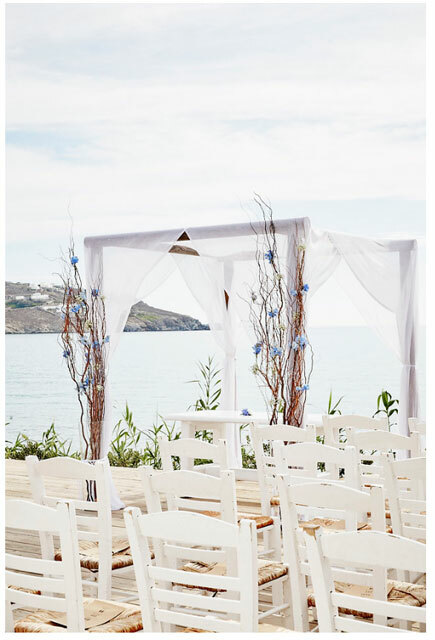 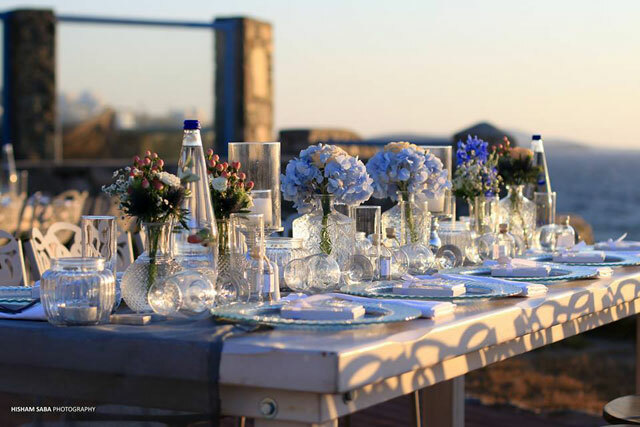 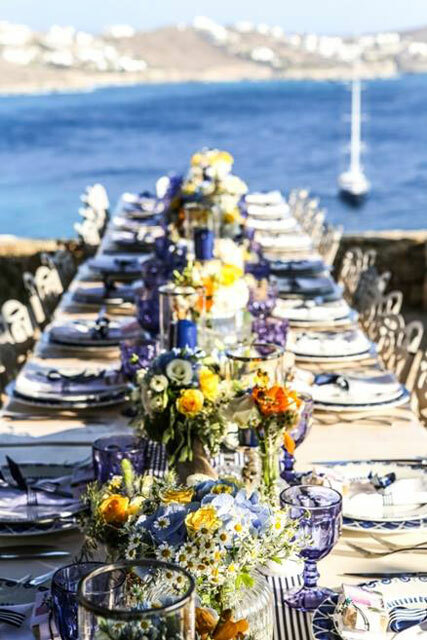 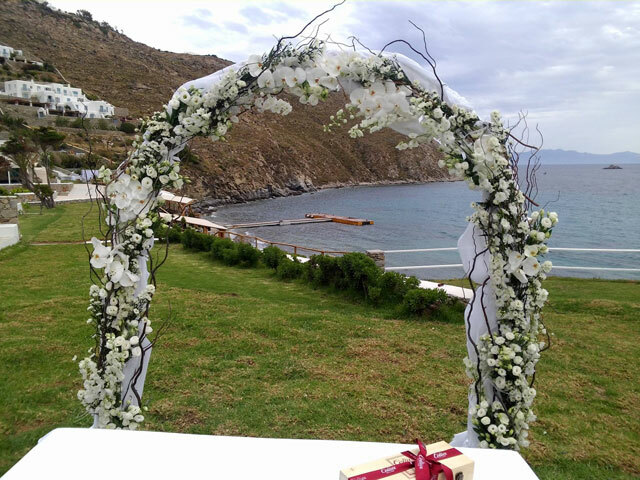 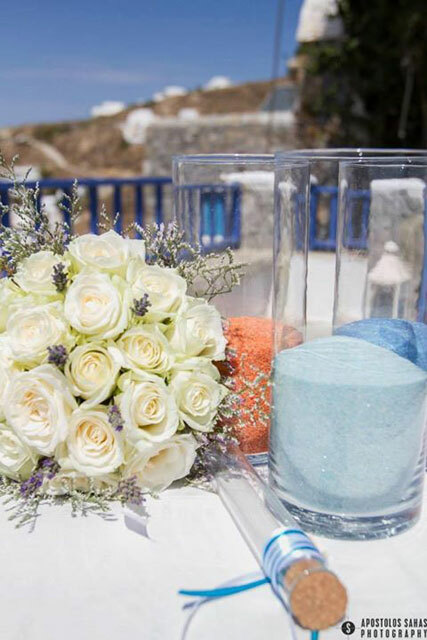 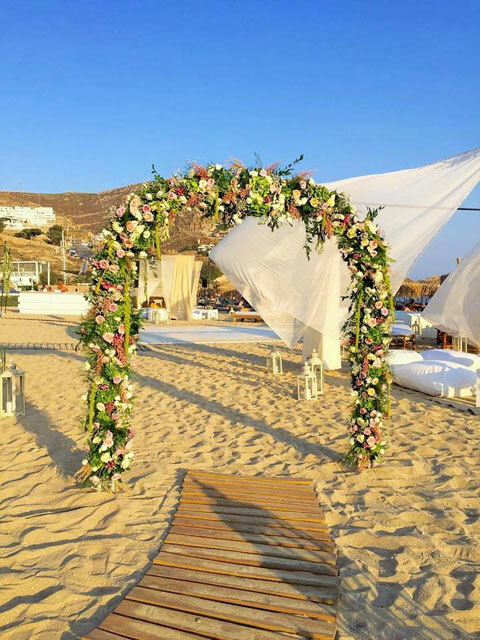 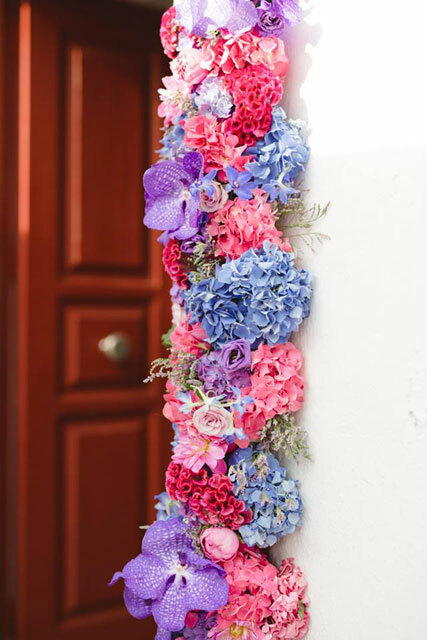 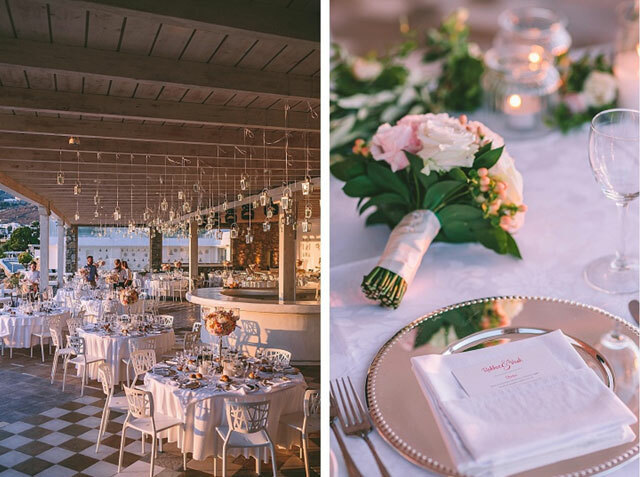 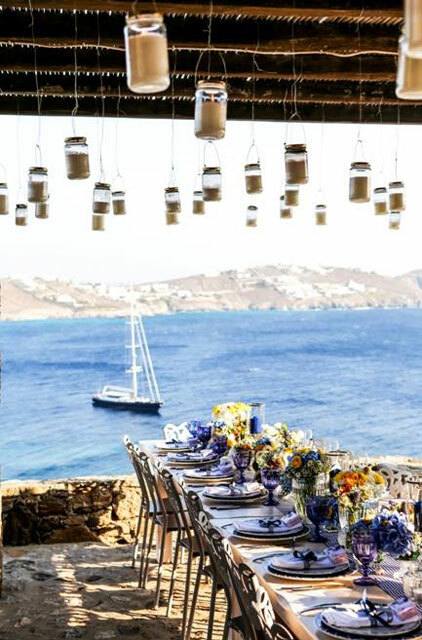 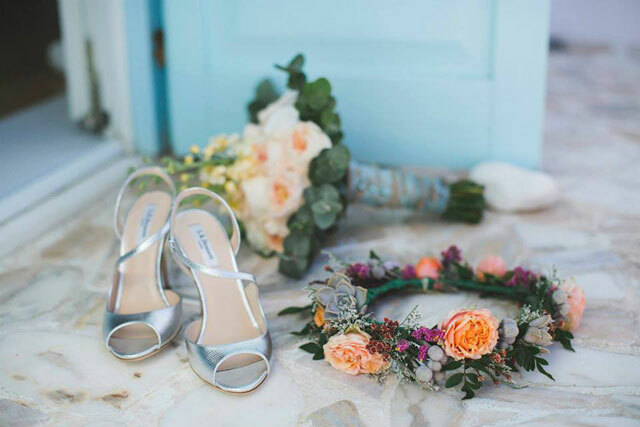 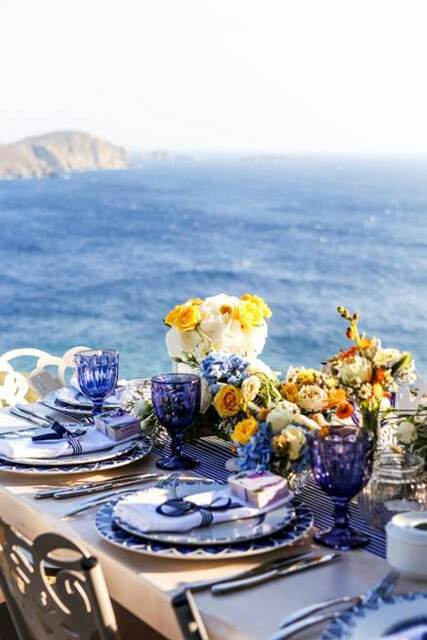 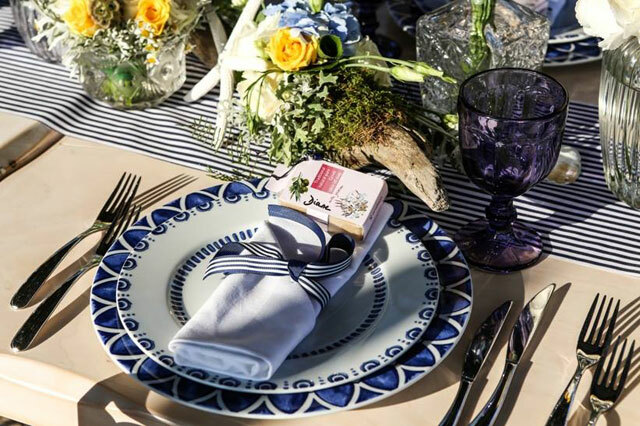 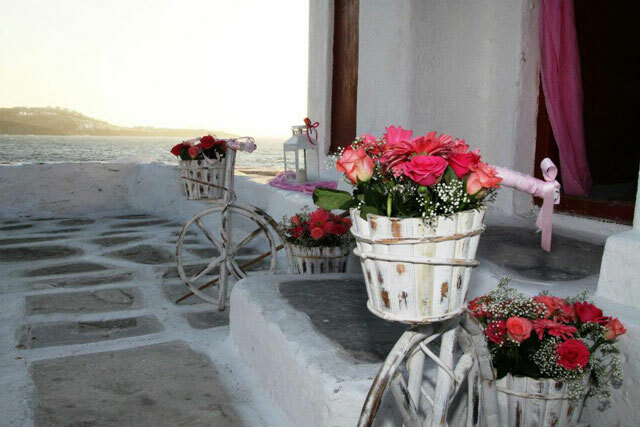 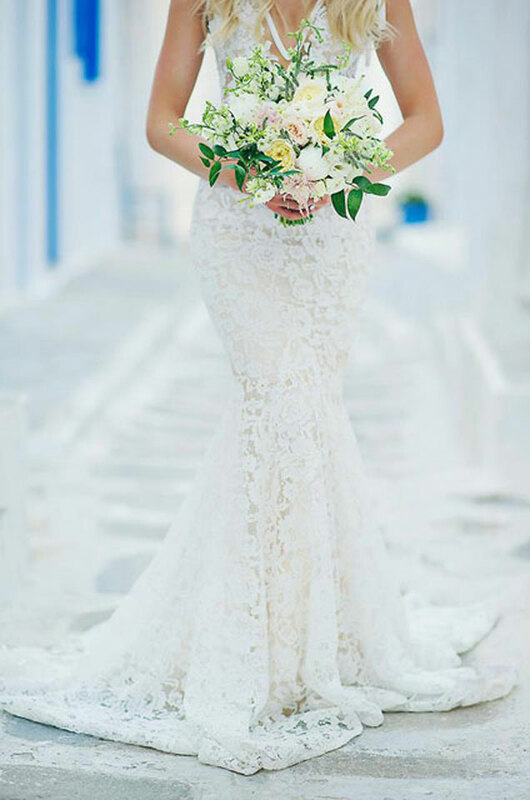 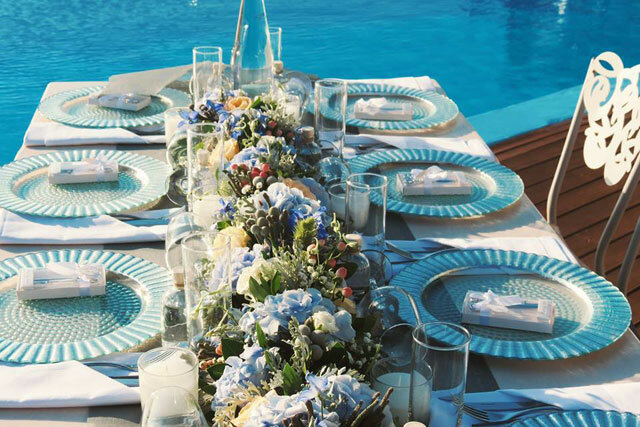 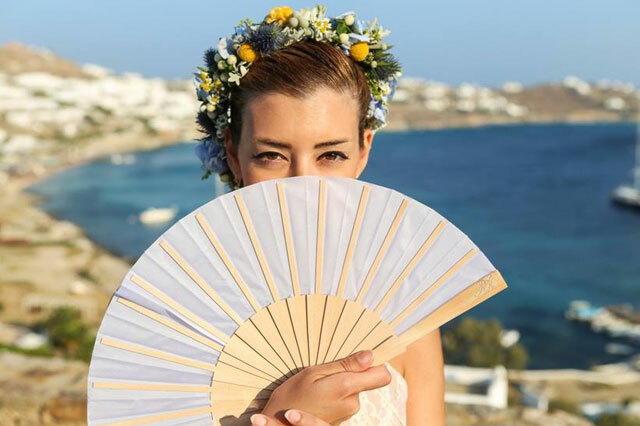 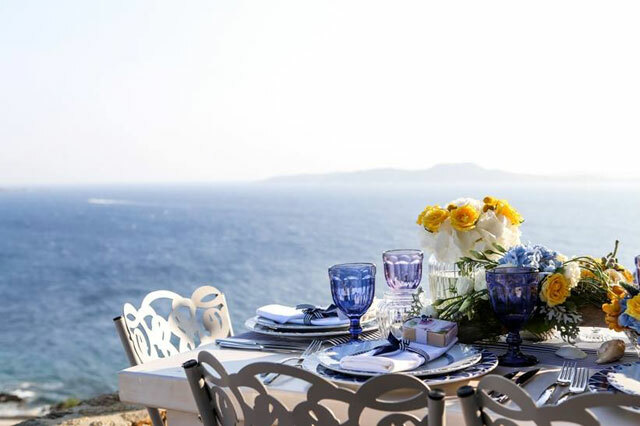 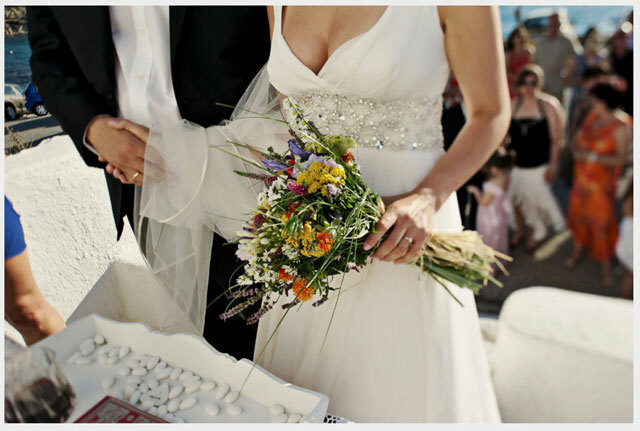 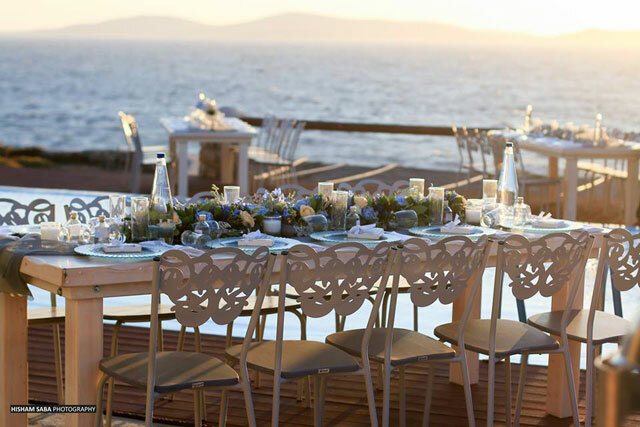 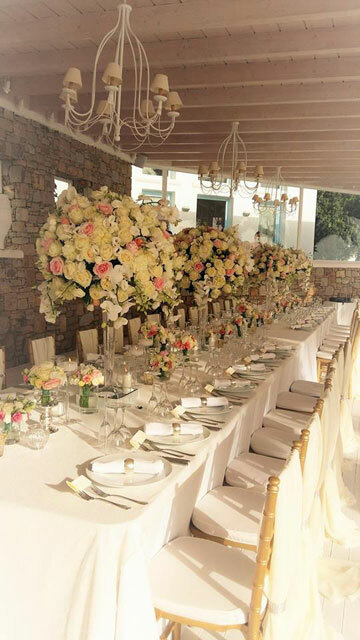 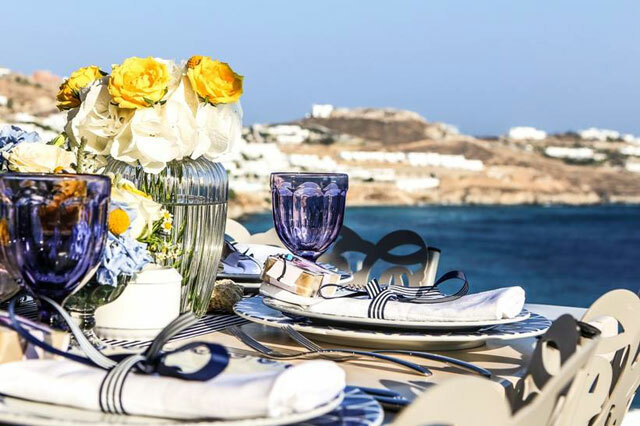 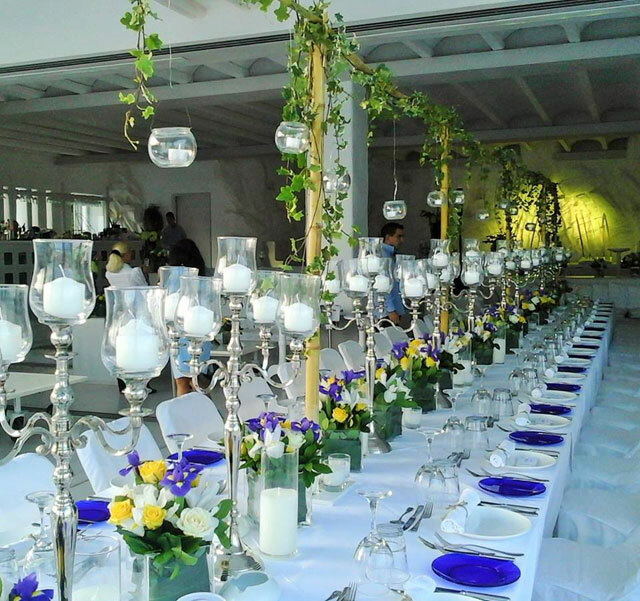 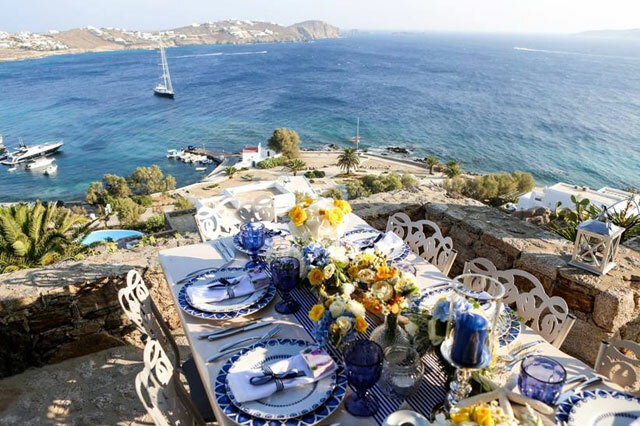 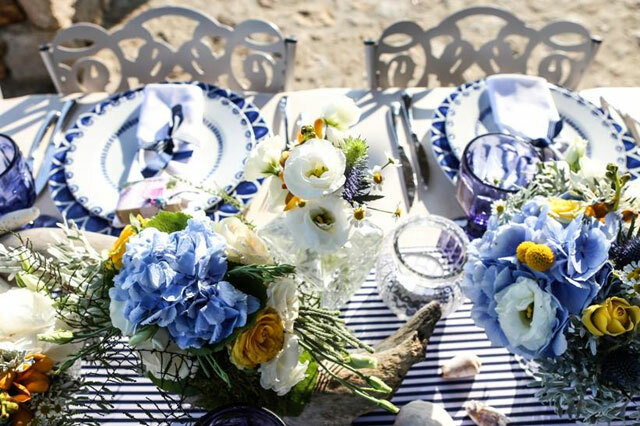 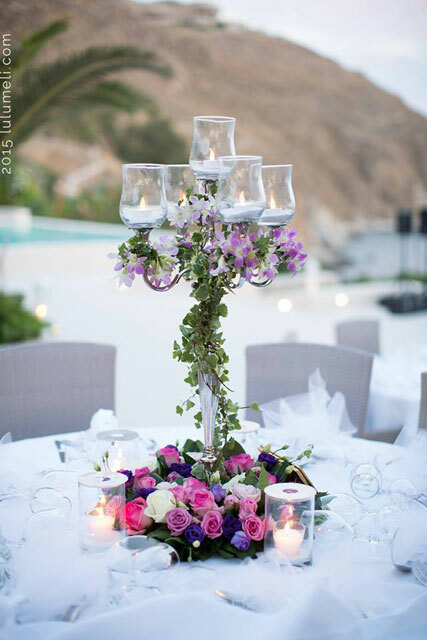 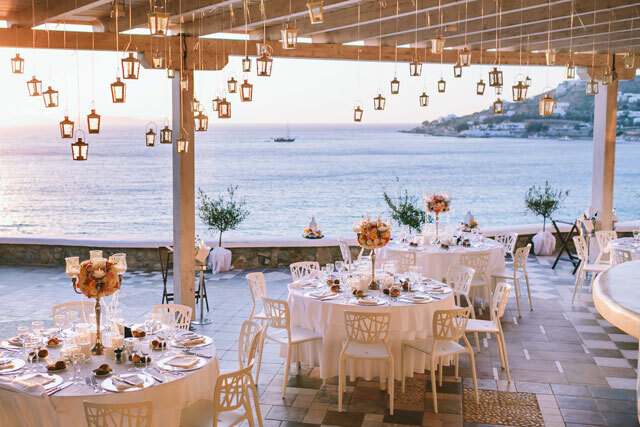 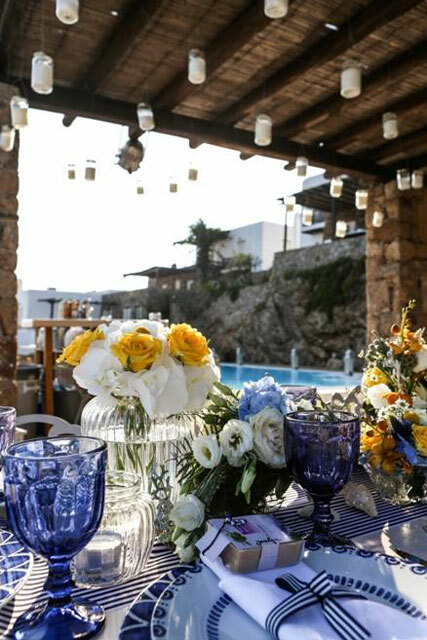 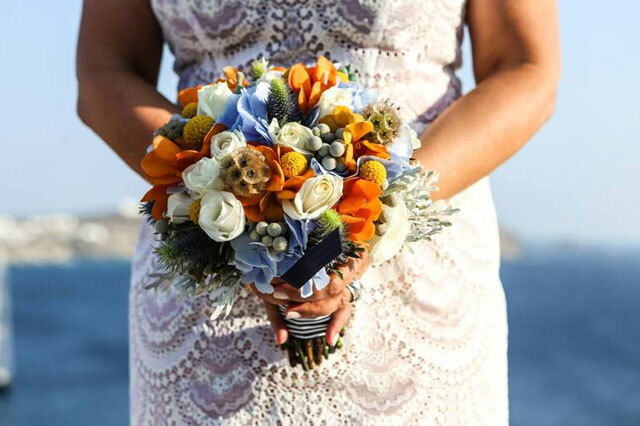 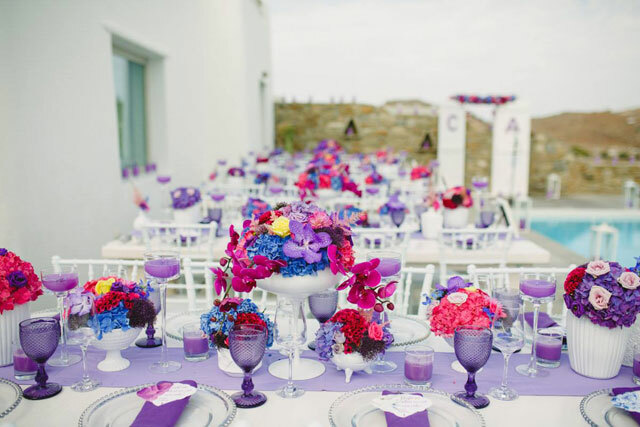 Our collection of incredible real weddings from Mykonos, with a variety of wedding colors will inspire you. 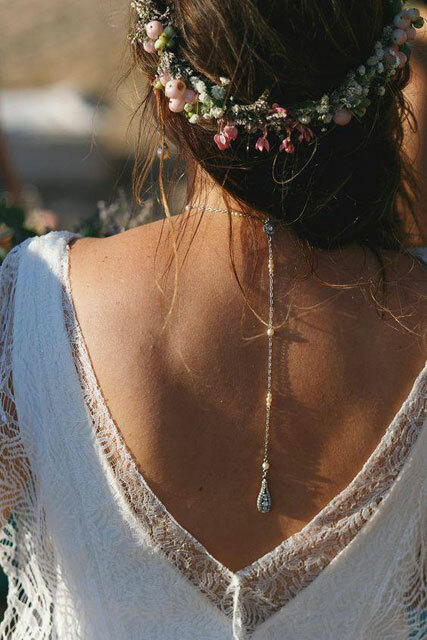 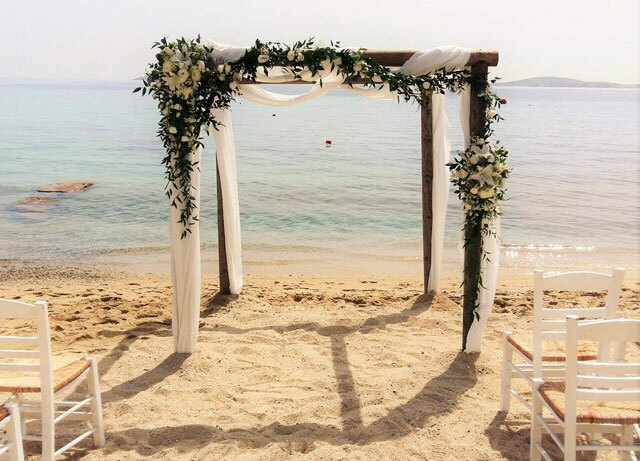 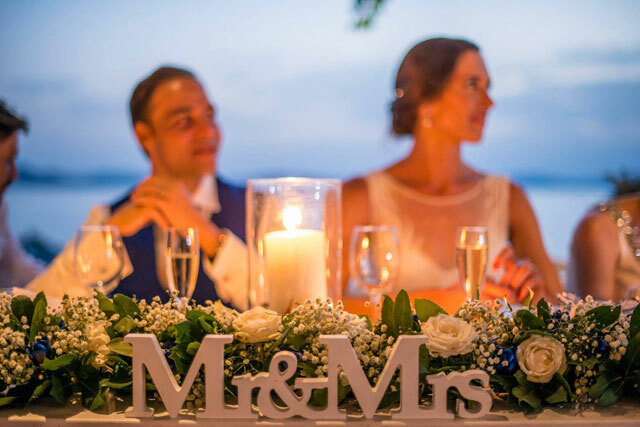 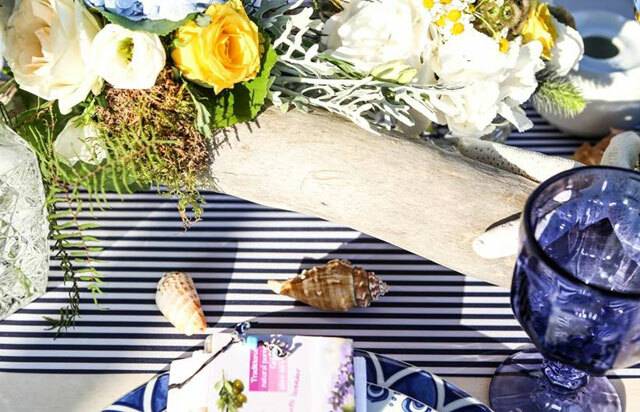 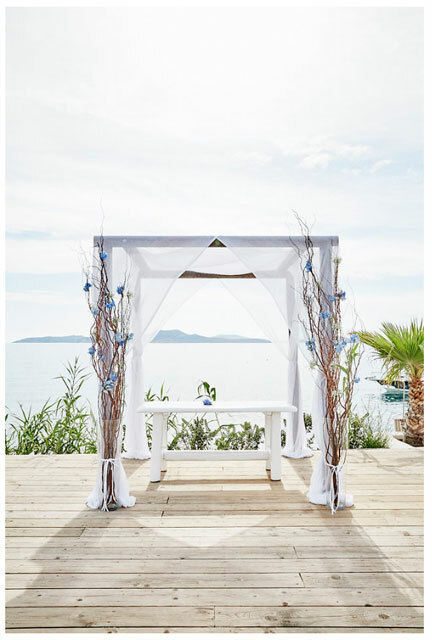 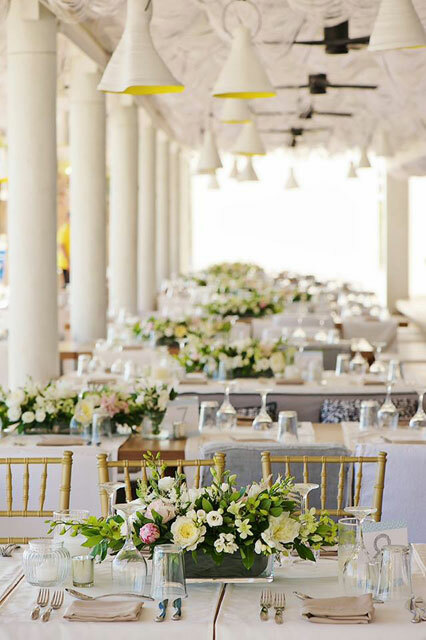 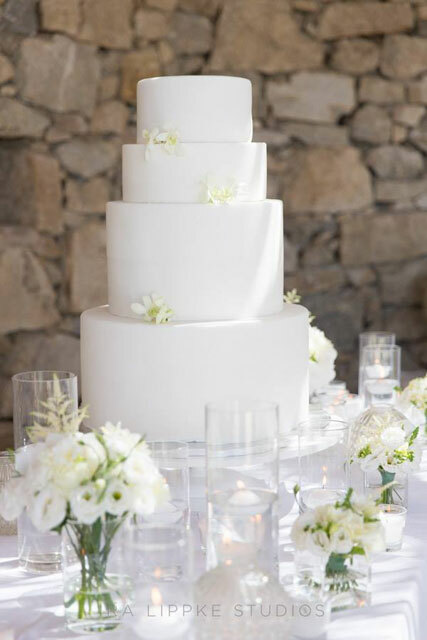 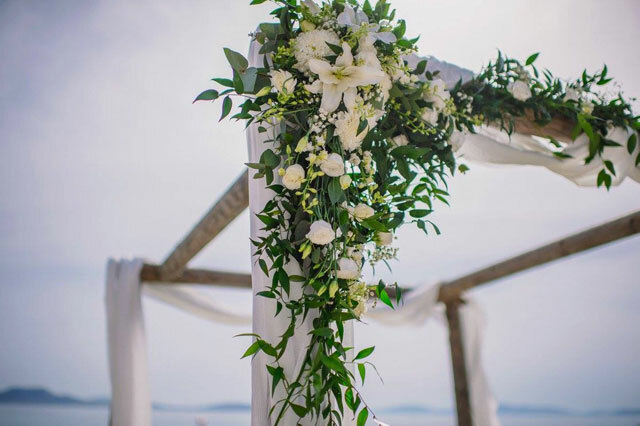 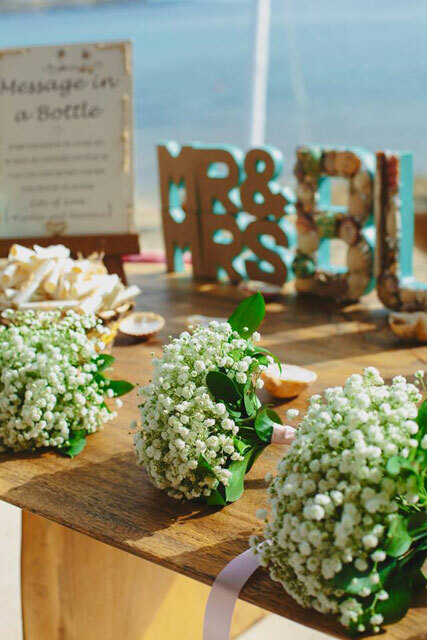 Whether you want to have, an elaborate wedding, a beautiful ballroom reception, or an intimate outdoor wedding on the beach, there are plenty of real weddings to inspire your very own happily ever after! 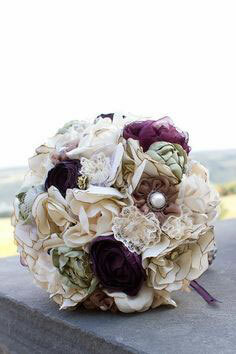 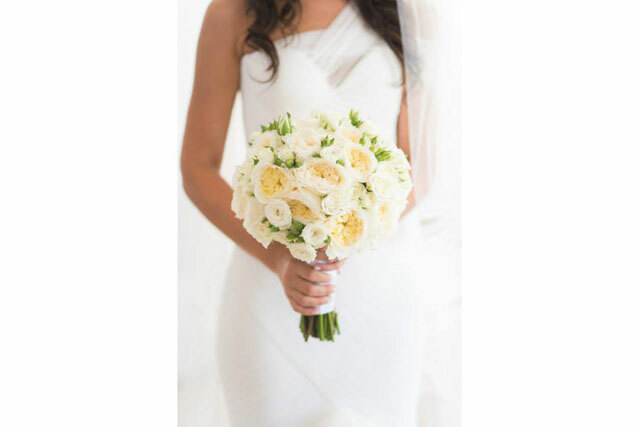 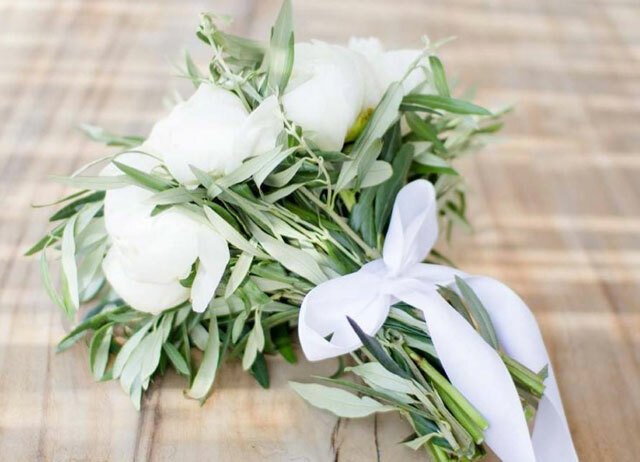 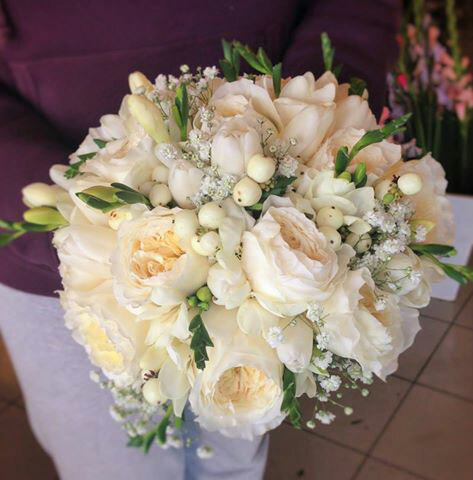 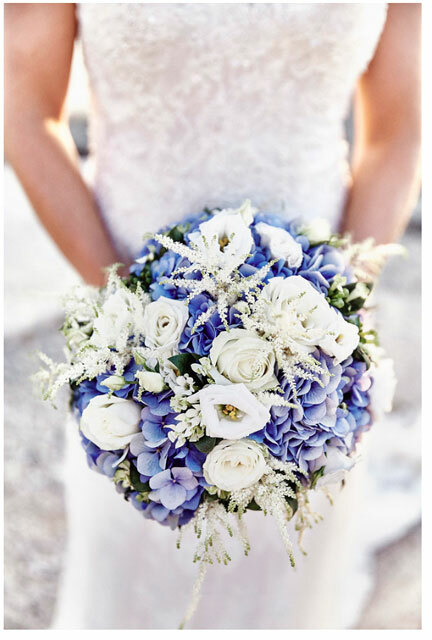 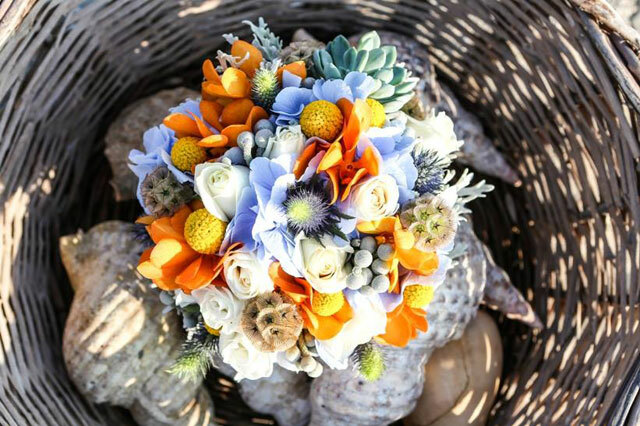 The perfect bridal bouquet and groom's boutonniere are an essential ingredient of the perfect wedding day. 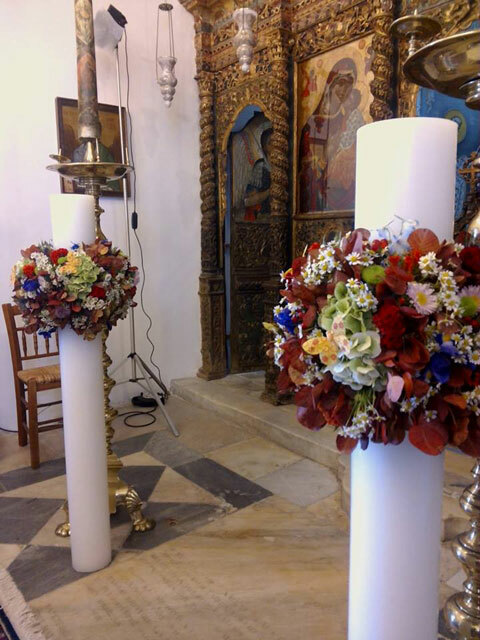 Here are just some examples of our Wedding Flower Creations!